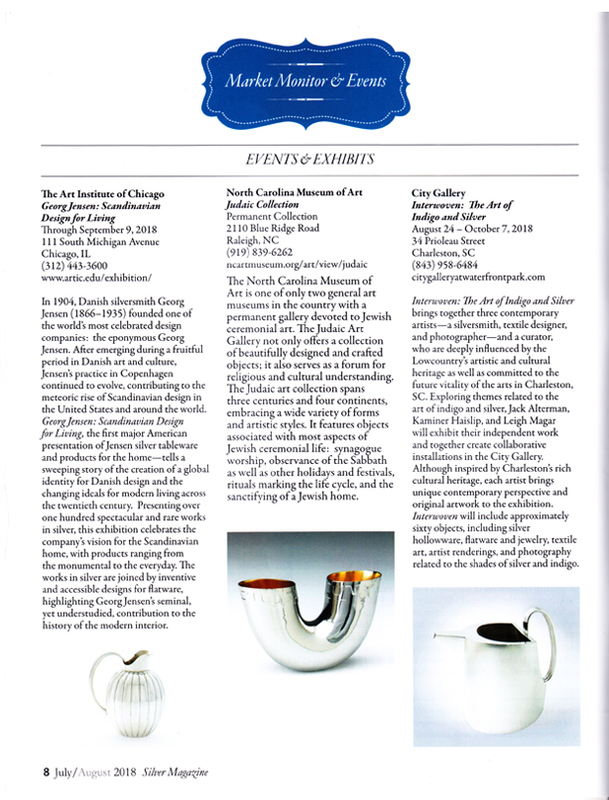 Charleston Magazine interviewed silversmith Kaminer Haislip about the collaborative exhibition Interwoven: The Art of Indigo and Silver, which includes her, textile artist Leigh Magar, photographer Jack Alterman, and curator Brandy Culp. 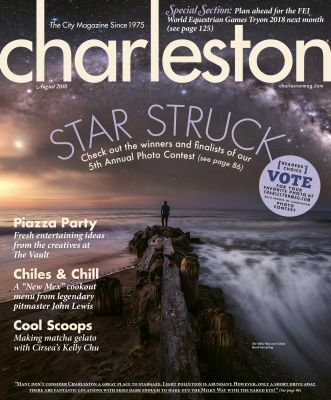 Maura Hogan wrote the lovely complimentary Charleston Magazine article below. The exhibition will be on display at the City Gallery in historic downtown Charleston, SC August 25-October 7, 2018. An artist lecture will take place Saturday, September 8 at 2pm. Visit Kaminer’s website Blog for details. On the process: I make everything entirely by hand through almost the same techniques as colonial silversmiths. Fortunately for me, technology has advanced—I have rolling mills for silver sheet, compressed gas for my torch, and polishing machines for buffing. 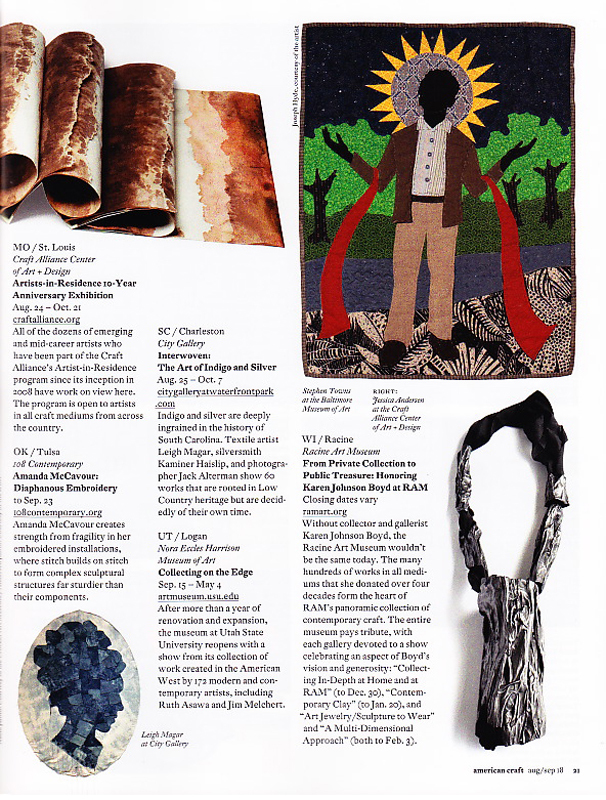 Charleston City Paper featured on August 15, 2018 Interwoven: The Art of Indigo and Silver, the collaborative exhibition that includes artists Kaminer Haislip, Leigh Magar, Jack Alterman, and curator Brandy Culp. 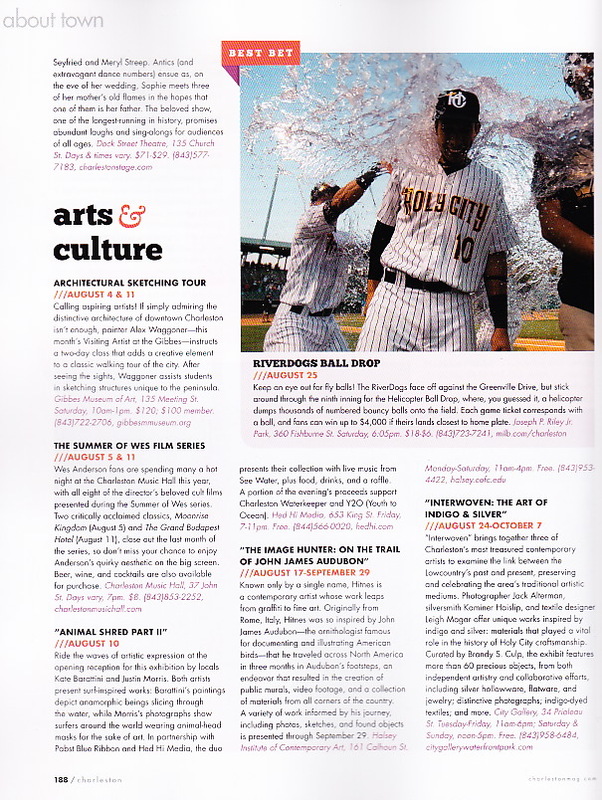 Chase Quinn wrote the wonderful Charleston City Paper article below. The exhibition will be on display at the City Gallery in historic downtown Charleston, SC August 25-October 7, 2018. Visit Kaminer’s website Blog for details. As Southern Living extolls, “The Good Silver is a Southern stalwart.” Indeed, one automatically pictures immaculate tea sets and monogrammed flatware passed down generation after generation, of the sort you might find on display at the Charleston Museum. On the other side of the silver coin, there’s the stock and lash of chattel slavery, required to extract the indigo that lined the pockets of wealthy planters and set the table, so to speak, for standards of wealth and culture. 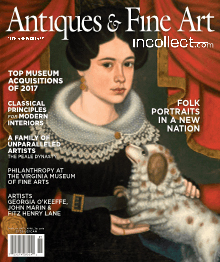 It’s a history of which Brandy S. Culp, the Richard Koopman Curator of Decorative Arts at the Wadsworth Atheneum in Hartford, Conn. and guest curator of the City Gallery’s upcoming exhibit Interwoven: The Art of Indigo and Silver, is well aware. The exhibit, she explains, is “ultimately about layers of history and meaning, and how we find meaning in materials.” The show will feature three artists heavily influenced by Charleston history and culture including silversmith Kaminer Haislip, textile designer Leigh Magar, and photographer Jack Alterman. 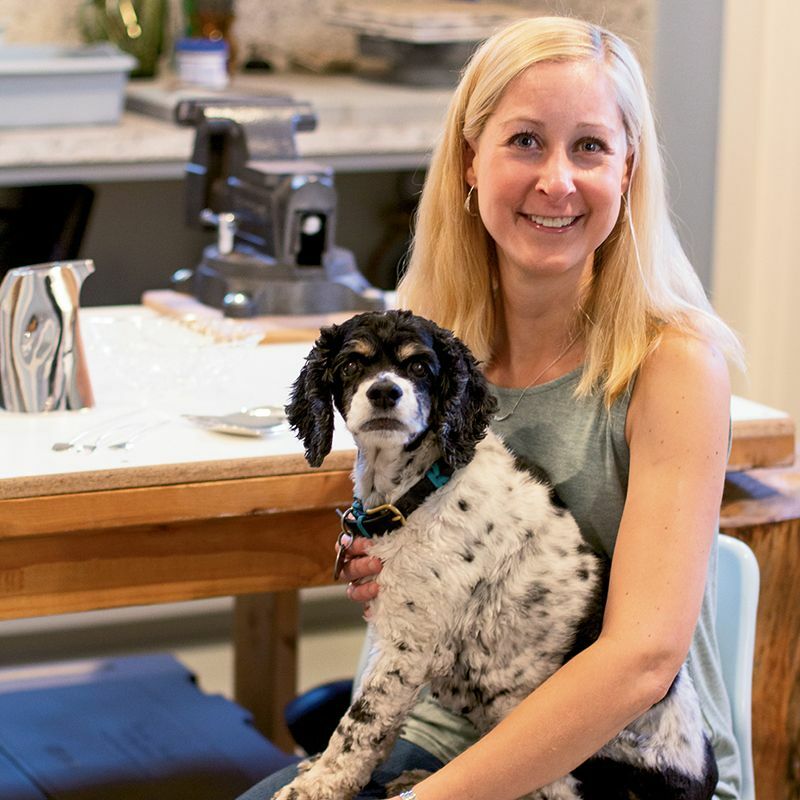 The project began two years ago when Haislip, one of the few formally-trained silversmiths practicing in Charleston, and Magar, known for her “seed to stitch” project, which takes indigo grown in her own garden and uses it to create hand-dyed and hand-stitched garments and goods, approached Culp. 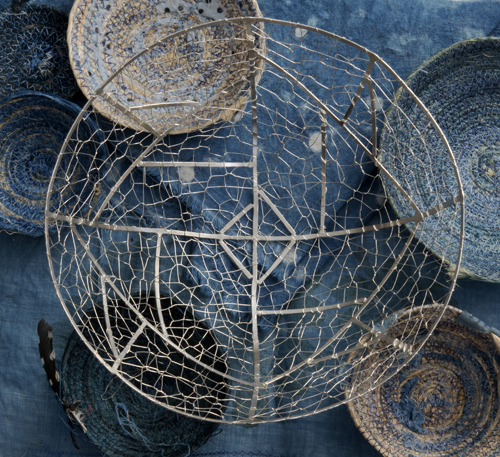 With her rich background in the history of decorative arts, Culp explains that indigo and silver were both highly prized as raw materials throughout the ages, globally traded as commodities, and historically transformed by artisans into objects of desire. In fact, it is South Carolina’s own Eliza Lucas Pinckney, the 16-year-old daughter of a wealthy planter, who is credited with first introducing and successfully cultivating indigo in the American colonies in 1742. Long before the ubiquity of today’s blue jeans, at the time, indigo dye was rare and expensive. 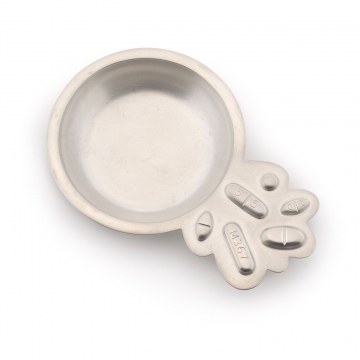 Like silver, it was a symbol of status and wealth. In the two decades after its introduction, indigo would become one of the colony’s largest exports, second only to rice. That also led to a spike in the importation of enslaved labor to carry out the challenging and time-intensive process of extracting the dye, which could involve pounding the plant for up to 20 hours. The title of the show, Interwoven, however, refers not only to this shared history and symbolism, but also to how the past and present are worked into the artists’ contemporary interpretations of these mediums. 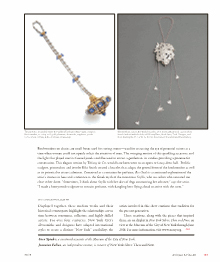 Culp explains, for example, that while Magar and Haislip have collaborated on a number of pieces for the exhibit that meld the elements of indigo and silver, they will also be displaying individual works. 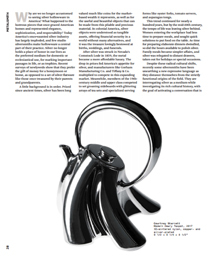 For Haislip, that means giving visitors, far removed from the processes of metalwork, the experience of how she forms and forges her pieces, which, while heavily influenced by tradition, are completely contemporary in their design. Alterman, a Charleston native perhaps best known for his diverse portraits that capture the city’s many faces, was brought in to tie the whole story together. Through his photography, he will not only document the work on display, but will also have a series of portraits of other local artisans directly or indirectly connected to the craftmanship of indigo and silver. In addition to the label copy that will provide some historical context for the role Africans and African Americans played in the production of indigo and silver, Culp indicates that Alterman’s contribution is also important because his portraits showcase contemporary African-American artists working in or connected to these mediums as well, including Jonathan Green and Arianne King Comer. To get a full picture of this interweaving narrative, Culp also recommends that audiences attend the artist talk, which will take place on Sept. 8 at 2 p.m., where the exhibitors will be on hand to discuss the most important stories in their work and to take audience questions. 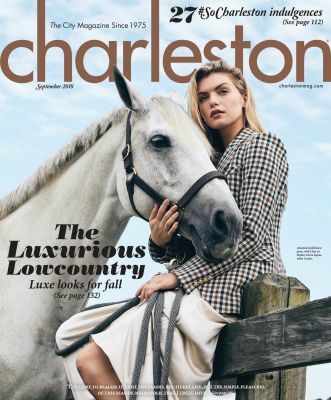 Charleston Magazine highlighted in their August issue Interwoven: The Art of Indigo and Silver, the collaborative exhibition that includes artists Kaminer Haislip, Leigh Magar, Jack Alterman, and curator Brandy Culp. 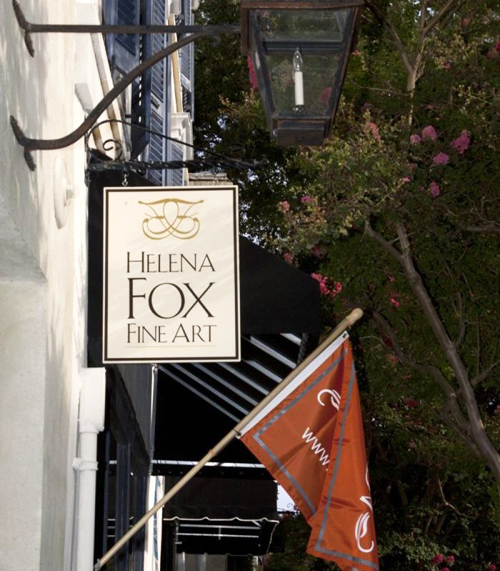 The exhibition will be on display at the City Gallery in historic downtown Charleston, SC August 25-October 7, 2018. Visit Kaminer’s website Blog for details. 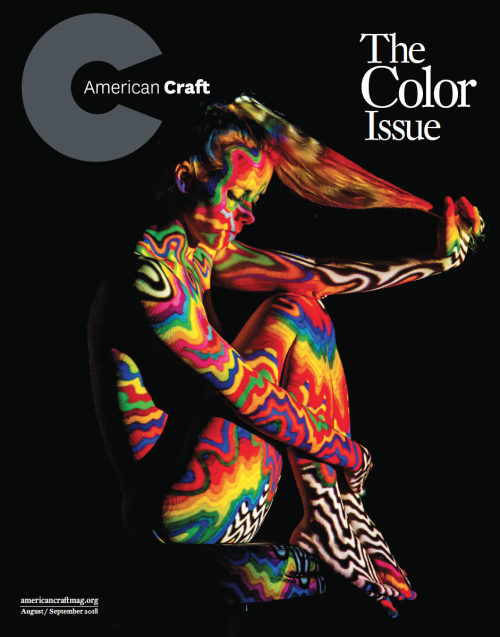 American Craft magazine highlighted in their August/September issue Interwoven: The Art of Indigo and Silver, the collaborative exhibition that includes artists Kaminer Haislip, Leigh Magar, Jack Alterman, and curator Brandy Culp. The exhibition will be on display at the City Gallery in historic downtown Charleston, SC August 25-October 7, 2018. Visit Kaminer’s website Blog for details. 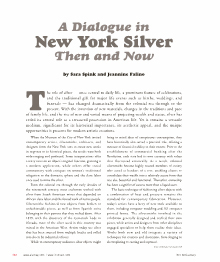 The Hyperallergic article”Artists and Designers Tell New Stories of Old Silver” by Sarah Archer features the silver “Pillinger” Kaminer Haislip and Constantin Boym collaborated on for the Museum of the City of New York exhibition New York Silver: Then and Now. See below for excepts from Hyperallergic’s online article and click on the link at the bottom to view the entire article. “It’s not an accident that silver makes us think of grandma, whether or not our own personal grandmas actually collected, used, or displayed silver — most of them may not have. But grandmothers are culturally coded as the keepers of domestic tradition. 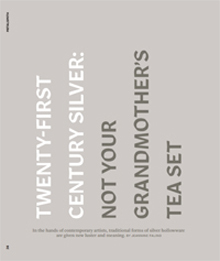 “Grandmother’s silver” may actually be silver-plate rather than sterling, but the phrase still sounds rather refined. The works in Falino’s exhibition are designed to upend this idea, but they largely do so with a posh accent. 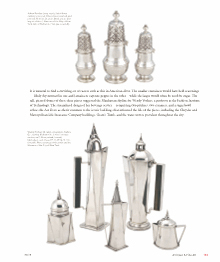 The contemporary works range from subtle to campy, which makes them good analogs to silver from different time periods — colonial silver looks positively minimalist when compared with the flamboyant spectacle of a Victorian presentation vase. 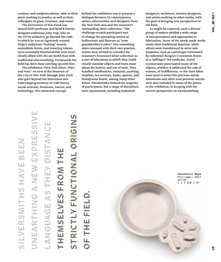 There are some witty takes on forms of hollowware that have long fallen out of regular use. 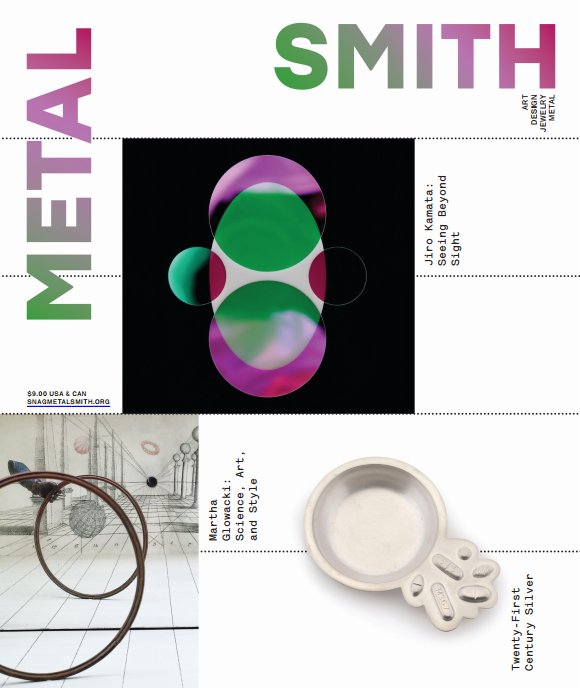 Metalsmith magazine featured on their cover the silver Pillinger silversmith Kaminer Haislip collaborated with industrial designer Constantin Boym on for the Museum of the City of New York’s exhibition New York Silver, Then and Now. 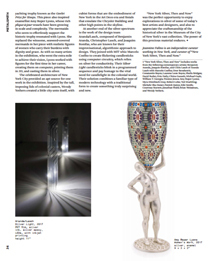 It was also included in the article about the historic and contemporary silver exhibition. 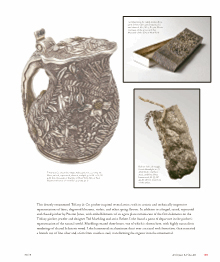 The New York silver focused exhibition will be on display at the museum until June 2018. I will be featured on the Insp television show Handcrafted America this Friday, October 27 at 8:30pm! 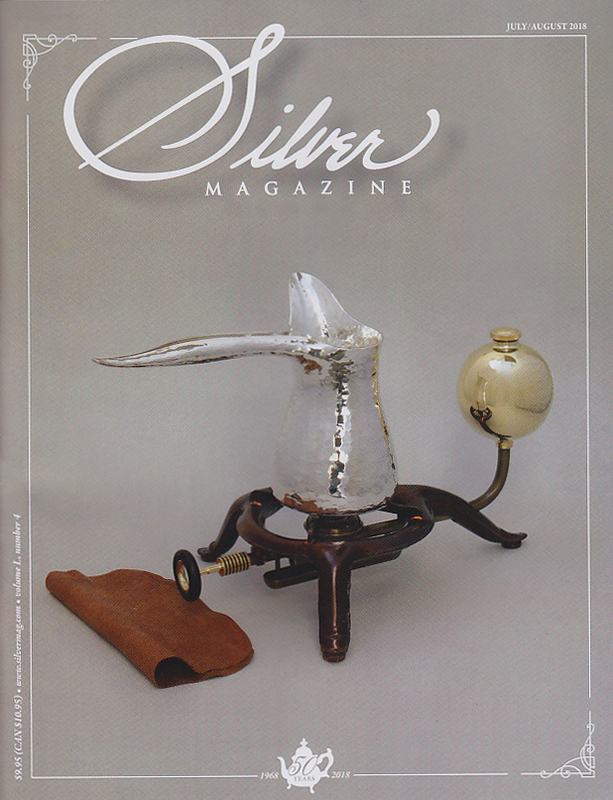 Tune in to see me share my silversmithing process with the amazing Jill Wagner!